The Midleton Distillery is the Irish Distillers Group's most important distillery. For nearly 200 years, this historic building has been were the bulk of renowned Irish whiskey is produced throughout Ireland. A superbly refurbished 18th century building that still retains all of its traditional charm; here a guided tour is a journey through the history of Irish whiskey making. See the world's largest pot still, with a capacity of 30,000 gallons. Visitors can experience a wonderful audio-visual presentation or guided tour of the old distillery. See the mills, stillhouses, corn stores, kilns and warehouses, some of which are more than 200 years old..
Nice friendly staff, room was nice although not very clean. It was very dusty mainly and looked like it hadn't had a polish in a while. Food was lovely and a good location. The room was worn but fine, the staff were not rude but not what I would expect from hotel staff. We went for food the first night to the hotel seated at 6.80, served at 8.30. On top on that the food was rubblish, it tainted the rest of our experience at the hotel. Fantastic hotel, newly renovated, big rooms and the staff were very polite, respectful and helpful. Really enjoyed our two night stay at the Middleton Park. We had dinner on one night and the food was excellent. Also breakfast was very good with all needs catered for. We visited the Leisure Centre which was most enjoyable. Room and beds were most comfortable. All staff were both efficient and friendly. We recommend this hotel and look forward to returning again in the future. 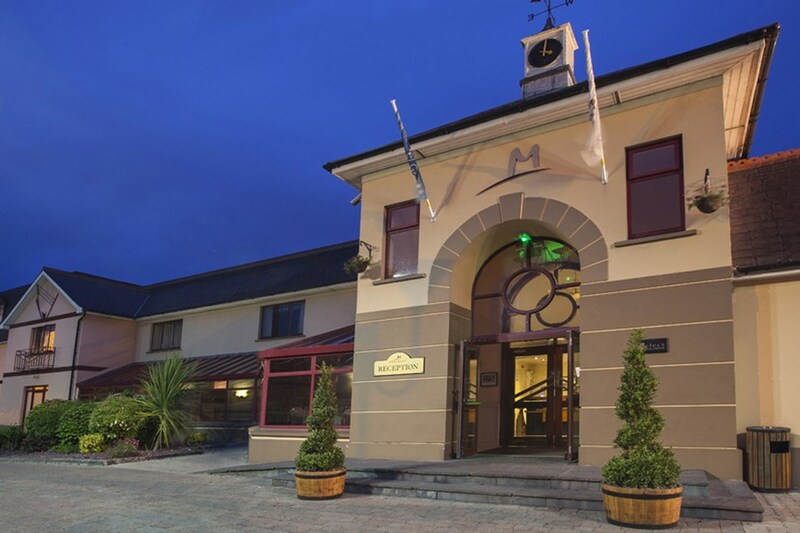 We had a great time at the Midleton Park Hotel location great, staff very friendly and the food was very good both breakfast and the bar food would definitely recommend. Lovely hotel -& leisure centre. Friendly & helpful staff. Our newly refurbished room was very comfortable. & the cleaning staff work hard and do a great job. The bar area was cold whilst we were having our meal one evening. I would suggest improvement is required in this respect. Overall a very enjoyable stay! Excellent all round. Rooms, food, reception staff, bar staff and they were very accommodating to my Sons disability. I will definitely go again! We were delighted with the comfortable, spacious and very well appointed room. Our evening meal was tasty and very enjoyable, served by friendly, accommodating staff in a spacious dining room . Breakfast was beautifully cooked and kept under properly operating heating covers. This hotel had the feel of a 4 Star and gave us a lovely Valentine Break. And we appreciated the complimentary news papers which we read, all the way, on the train to Dublin on Monday. Staff both professional and courteous, very large, clean and comfortable bedroom, substantial breakfast, no problem staying here again. We stayed here recently, it was a nice hotel very pleasant to deal with on check in. The room was lovely but the only down side was two single beds pushed together which isn't comfortable. We had a meal Booked in the hotel also, and we also had lunch there. Lunch was ok but they waiter seemed to forget our drinks. I presumed this was just a oversight it can happen no problem. However at dinner time it was busy but clearly under staffed taking 25 minutes for our order to be taken and forgetting our drinks again. The couple beside us asked for their drink 5 times! There was one young girl seeming to do all the work who I felt sorry for. I don't think its the staffs problem but they are very understaffed! The main course wasn't great but we are it anyway. It was a nice stay lovely newly decorated hotel but some small details leave them down. Would absolutely recommend this Hotel . Just back after a two night stay with B&b & dinner incl with my husband and little boy of 19 months . The staff are brilliant , the food is excellent , facilities such as the leisure centre is top class & the bed was so so comfortable . Its been a long time since we experienced a hotel with really nice courteous staff . We had a poor experience recently at the hotel. This was because of a wedding reception taking place at the hotel. Shouting, roaring and fighting was the order of the night from approx 1am to 5am that prevented us from sleeping. There was no lock functioning on the bedroom door so we feared that it would be broken down at the height of the trouble. So we took up residence for a while in the toilet! Had there been no wedding there I'm sure everything would have been fine. Very good hotel - would recommend it. The food was good and the hotel was clean overall. The leisure centre was great. Plenty of parking, and and the rooms were quite spacious. The only reason i would not give a 5-star was because our double bed was really two single beds pushed together. Everything was perfect comfortable bed, nice room and good foods. Very clean and staff were very friendly and helpful. Rooms, Food and staff made the weekend break very enjoyable.The only downside was as it was halloween there was a party on and the music was very loud which woke us up even though we had requested a quiet room.Have stayed several times before and never had a problem. Lovely room with lots of space & the same with the en-suite bathroom. Spotlessly clean, very comfy bed. The food was amazing & the staff couldn't do enough to ensure we had everything we needed for a fantastic stay. Nice hotel, room was spacious and clean. Breakfast was excellent on both days but dinner left something to be desired. Would recommend Midleton Park hotel. Good value and a good base for exploring Cork and the surrounding area. My wife and I stayed over the bank holiday weekend. This is an excellent hotel. The saying "First impressions" IS so true the young gent on reception was brill. He was local and made us very welcome. Food, staff and rooms were faultless. Keep doing it. P.S. We stay in hotels all over country every 3 weeks. couldnt fault the place,great food friendly staff.facilties spot on and comfy beds. "highly recomended" Darren Shiels. Very good location near shops Jameson Heritage centre and train to cork city..staff very nice and helpfull lovely breakfast. We had a christening there on the Sunday and it was such a lovely time..everything was so nice..always love staying at Midleton Park. 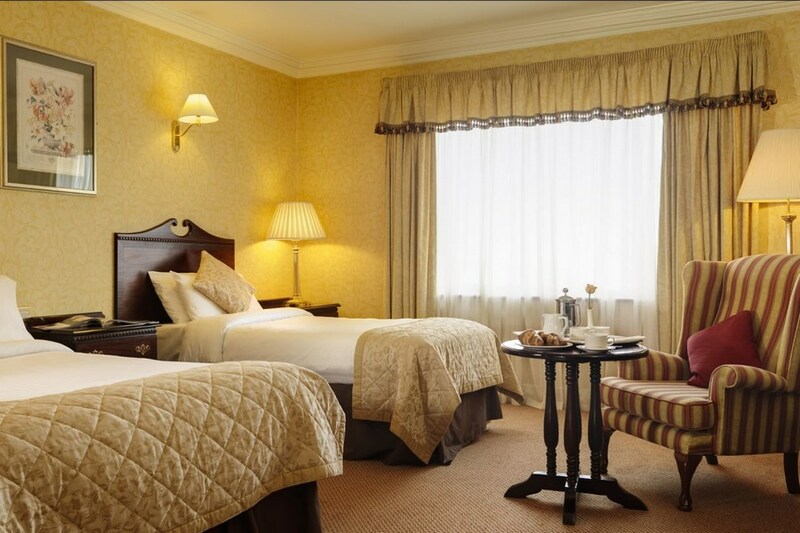 We stayed at the Midleton Park Hotel recently and very much enjoyed our stay. We found the hotel was situated very central and enjoyed a walk through the town. The town had plenty to offer with farmer's market on the Saturday morning and we also enjoyed a tour of the Midleton Distillery. There are two shopping centres close to the hotel if you want to go shopping.The hotel accomodation was very warm and comfortable and the food was very tasty and filling. We availed of the facilities in the leisure centre with a massage one of the afternoons. Our only disappointment was the outdoor hot tub was out of order during our stay but all other facilities in the leisure centre were top class. There was plenty of parking at the hotel and the leisure centre was accessible within the hotel. 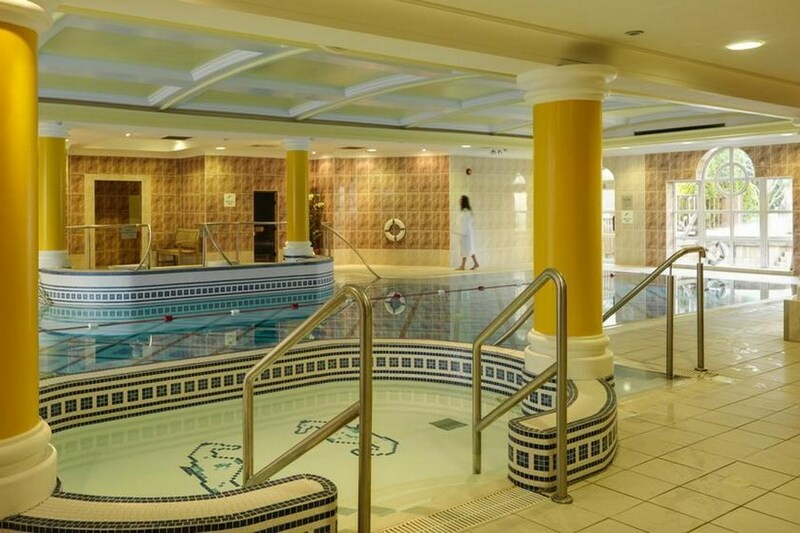 We would have no hesitation in recommending the Midleton Park Hotel to family & friends. We spent two nights over new Years Eve here and there were 30 of us including 10 children. We had a great few days and the hotel made us feel really welcome. Nothing was a problem. The food in the bar was delicious and not one member of our party including the children had a complaint. The night porter John was really lovely and deserves a mention as he looked after us very well!! The swimming pool and facilities were also really nice although I would say the restriction times for Children should be a bit more lenient. I have never been to a hotel were children only had 2 hours at certain times of the day to swim. All in all we would definitely return. We attended a function in the hotel and stayed overnight. The room was great - lots of space, towels and extra pillows. The staff were friendly and efficient. Breakfast was also great - we joined another couple at their table after we had finished our breakfast and were offered a fresh pot of tea when the waitress was taking their order. I would recommend this hotel as a place to stay when in the area. Top Hotel, Staff very friendly, we had a problem with the door on our family room, no problem they gave us two inter connecting rooms instead. Food was fantastic they did a four course meal for E20 which was fantastic value when you consider how tasty the food was. Very nice hotel. Food in bar was lovely with great variety. Staff were very friendly and kids club was excellent 6-9 each evening gave us a chance to have dinner together. The hotel bedroom was ok 2 star. We enjoyed our stay even though it was only one night. The food in the bar was good. The breakfast was wonderful, not buffet, cooked fresh and beautiful and the staff were very helpful. stayed for oct bank holiday weekend and really enjoyed this hotel .The room was very nice and the staff throughout were extreamly efficent .This was my 2nd stay here and I will return again .Thank you to all involved . Hotel was a great base to tour the surrounding area from. The only gripe would be the cooked breakfast on both mornings. Other than that the hotel was lovely. Straight across from tesco and lots of other shops and not far from everything else. Lost star due to poor wifi. Love this hotel, staff are so friendly and helpful. Pool area is great and free kids club is a great bonus. Really child friendly hotel. Will stay again. Good hotel. Staff approachable and helpful. Just wouldn't advise staying in the room by the lift, noisy at night. Otherwise great weekend had. We had a ball in the hotel as staff were very helpfull and friendly regardless of position in hotel Bar restaurant or leisure centre . Hotel was ideally suited for us as we were close to Foto Island and local beaches . very friendly and helpfull staff. food and service excellent .room very well presented. a very enjoyable stay. .